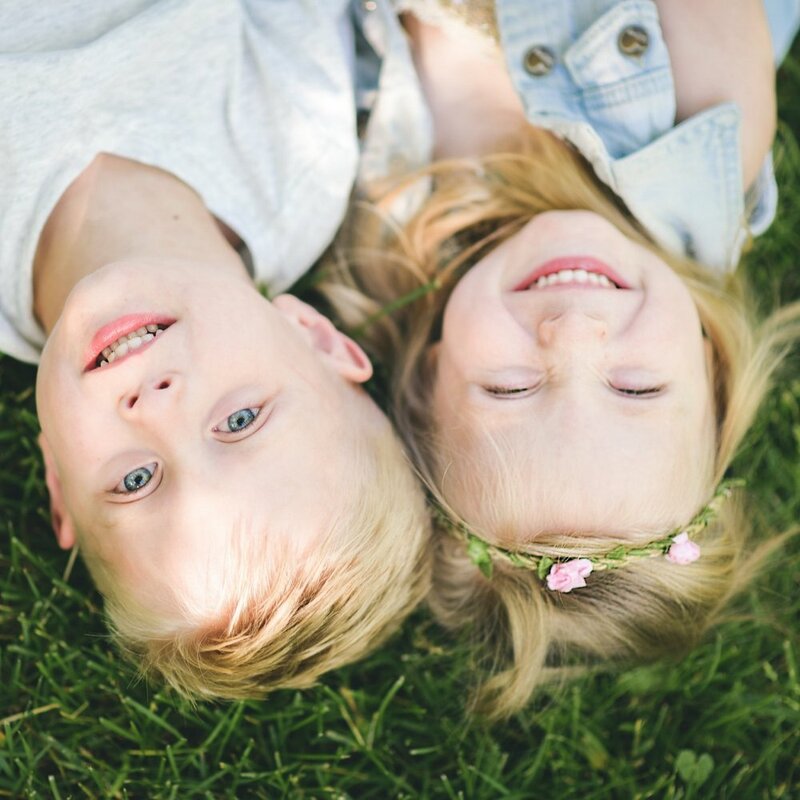 Jack and Ellie are twins who were born at 27 weeks & 6 days gestation 4 years ago. They endured being separated when one twin had to be transported to a different NICU, as well as needing surgeries, fighting off infections, intraventricular hemorrhages, feeding problems and more. And just look at them now! 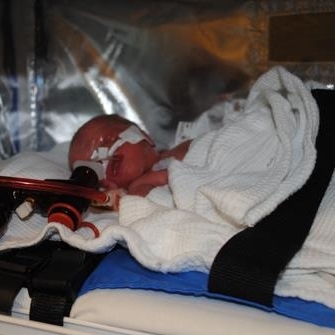 What was one of your best coping strategies during your NICU stay? Reading. My husband and I both re-read through some of favorite books series while our twins were in the NICU. Is there something that a caregiver did during your NICU stay that you really loved? Our favorite nurse helped us to realize it was ok that we couldn't be with our babies 100% of the time and that there were nurses and doctors there taking care of them when we couldn't be there with them. What's the best thing anyone did for you that helped during your NICU stay? Our twins were actually in different NICU's, one in Idaho and one in Utah. We had family open their homes to us as we traveled between the two hospitals and it was such a huge help to us to not have to worry about where we'd be sleeping. They even fed us and made sure we had everything we needed. What was the best gift you received during your NICU stay? Tiny hats. It's such an amazing reminder of how far they have come. Is there any product you recommend for new NICU parents or for their NICU babies? Why? I wish I had had one the NICU family tree charts or something to help me keep track of all of our doctors, nurses and anyone else who had helped us. Or even a journal of some sort. what would you like the nICU Caregivers to know? I had twins in different hospitals and the only complaint I have is how much stress I felt about pumping for them. I'd be at one hospital with one of my babies and pump and leave everything I had only to get a call from them while I was away with my other baby that they were out of milk and asking if I could bring more. I know that they meant well, but it was definitely added stress, constantly having to feel like I needed to apologize for running out of milk while I was going between hospitals. So my advice would be to be a little more understanding of life situations. Other than nurses & doctors, who played a big role in your NICU journey? My parents and in-laws. They dropped everything to come help us in anyway that they could. What advice would you give brand new NICU parents? I held my son for the first time when he was a week old, and my daughter when she was 23 days old, and part of that long wait was me being too afraid to ask. Don't be afraid to ask to hold your baby, you may not be able too every time you want to, but you'll end up waiting a long time for someone to offer. Also, take everything one day at a time. Don't feel like you have to overwhelm yourself, there are amazing doctors and nurses on your team, let them help you. What is your favorite NICU quote? Those two tiny babies that I birthed were just as much alive as you and I, they were fighting for their lives and I am so glad that there were people who were doing everything they could to keep them fighting! Thank you Melissa for sharing your story. If you would like to submit YOUR NICU Success Story, head over to this Google Form and answer at least 5 of the interview questions. Stories with photos are much more likely to be featured in our monthly newsletter! I'm a big advocate for sharing great gifts with NICU families, because these parents are going through the hardest time and they deserve all the cheer they can get. A thoughtful, appropriate gift can truly mean the world to them, and I want to help you all find the very best! From Mini to Moose on Etsy is my latest, greatest NICU find for awesome NICU gifts. 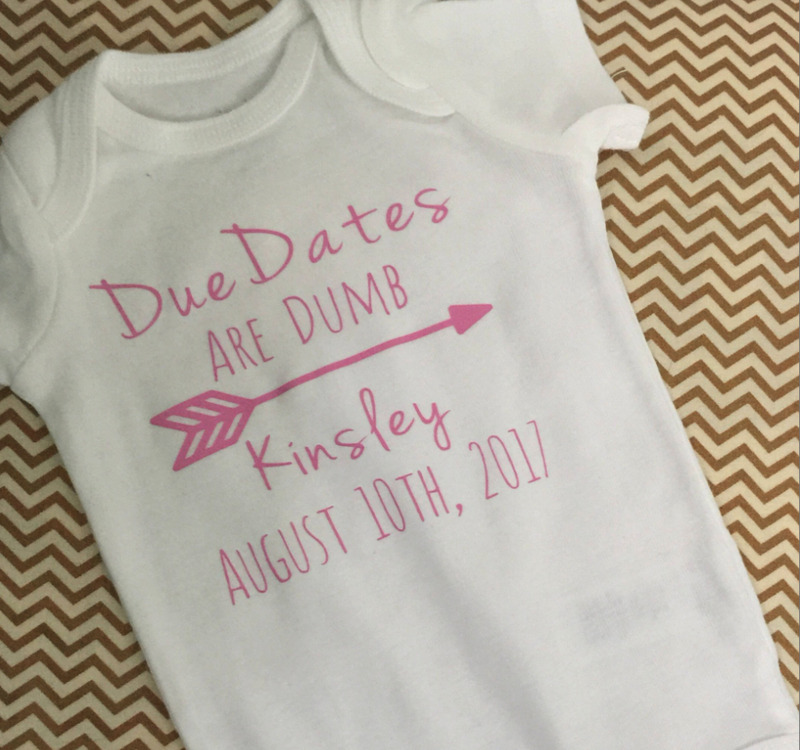 They sell adorable onesies, with whimsical and fun sayings, and many of them can be customized with baby's names, birthdates and more. My business partner, Samantha and I are college friends, and we started From Mini to Moose as a way to give back to the NICU community. In March of 2016 Samantha gave birth to her daughter Madison at 27 weeks weighing 1 pound 15 ounces. During the first week of her 64 day NICU stay, Madison was given the nickname Maddie Moose which is how she is addressed to this day! Ironically, a month later, I too found out my pregnancy was going to result in a premature birth. I gave birth to my daughter, who we called Quinny Mini, at just 28 weeks weighing a mere 1 pound 12 ounces. During this stressful time period I had reached out to Sam with many questions about what to expect in the coming months, and she became a true confidant, and friend. We often talked about things going on in the NICU, and the emotional journey we were both on. The inspiration behind From Mini to Moose began around Mother's Day of this year. Mother's Day happened to be one of the holidays both our daughters spent in the NICU. I wanted to do something special for the Moms who would be spending time in Quinn’s NICU during that holiday this year so I reached out to Sam for help. She had previously created a onesie for Quinn that said #preemiestrong so I knew working with her was the perfect partnership. That week, she spent hours helping me create 22 onesies for Quinn’s NICU. 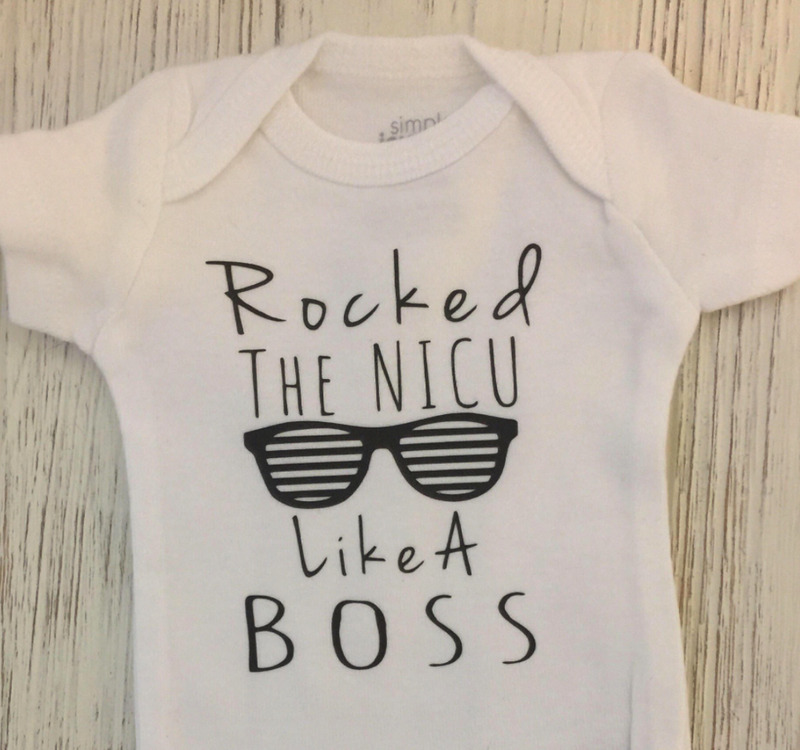 It was during that time, Sam asked me “why don’t we make this a business, and do this at more local NICUs a few times a year?” What really solidified the concept was the response we got from the moms we donated the onesies to. 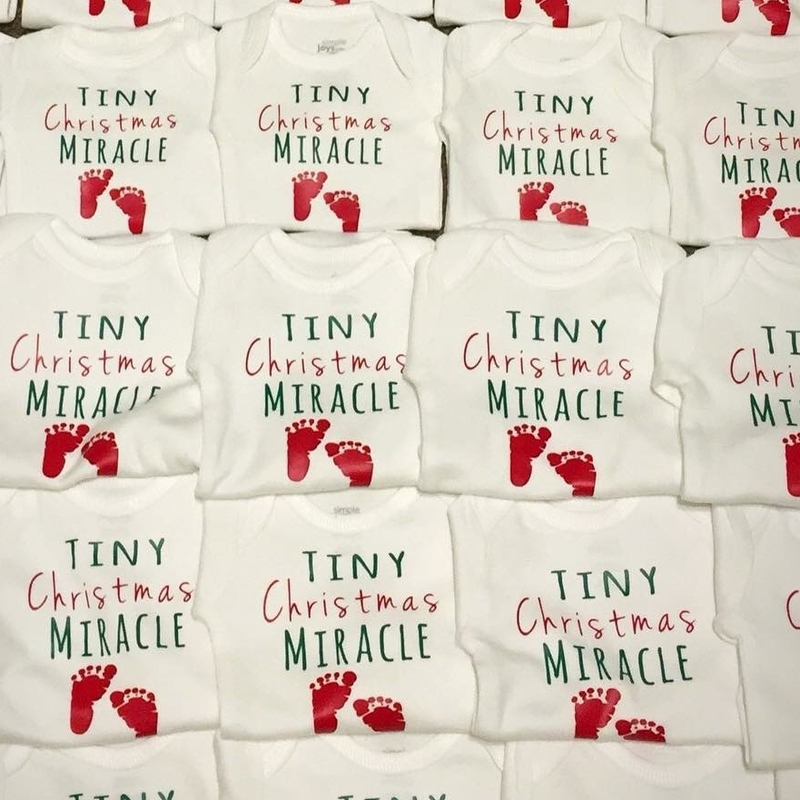 A few NICU Moms reached out to us telling us how much these little onesies meant to them, and from that point on we knew needed to continue our journey. In order for us to make this idea a reality we reached out to family, friends and others in the NICU community for support. The response was overwhelming to say the least and over the course of a few months we have received the materials needed to create hundreds of NICU donation onesies. Since we love making the onesies, we decided to open an Etsy Shop. 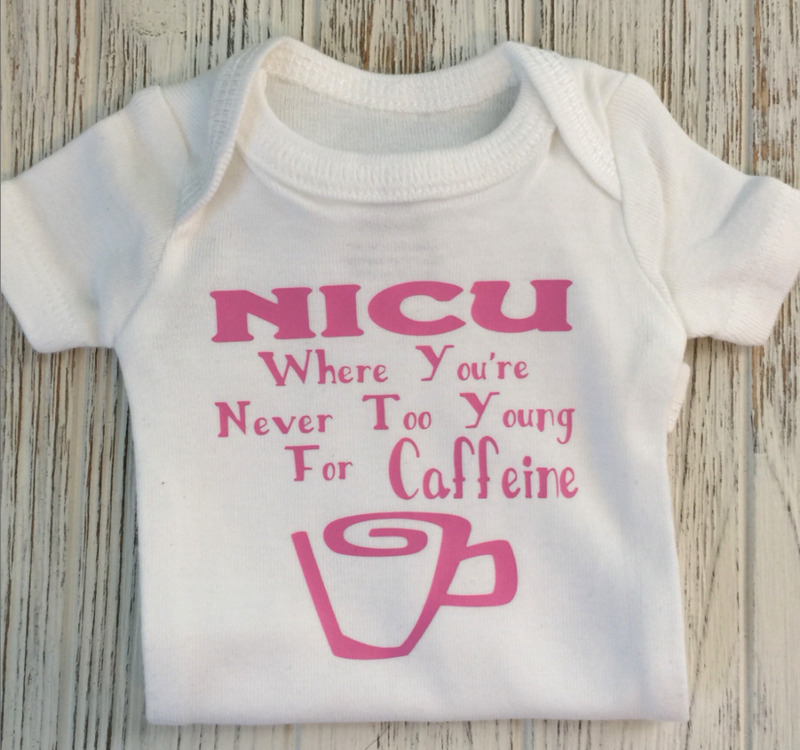 The shop is a channel the provides great NICU inspired onesies as well as great gifts for the parents and NICU nurses. We have big plans for many more deliveries throughout the year. Our hope is that through our monthly project Mini to Moose Special Delivery, that we will be supporting other NICU Moms in any small way that we can, even if that means just bringing a smile to their face. Many ask how they can help, we not only have an Amazon Wishlist where people can directly donate materials needed for our monthly deliveries, but one dollar from every sale on our Etsy Shop goes towards our monthly donations. Definitely go check them out! Whether you're supporting their work by purchasing items from their wish list, or buying the most adorable & fun onesies for babies on their Etsy shop, you're helping a great cause. You can follow from Mini to Moose on facebook & Instagram . This month I'm excited to share my list of favorite children's books related to the NICU. You can read the review of all these books here. You've heard of the MamaRoo by now, right? You must have... well, if not, you really gotta know about it. Because it's a baby swing unlike anything that came before it. And it works - really, really well. Why do I love this swing so much? On a typical day, I may have 3 babies to care for. When I have my hands full with one patient - let's say, carefully bottle feeding a preemie, or perhaps with my hands in the isolette changing a gigantic poopie diaper? - and the another of my sweet little patients starts fussing, I'm fairly useless to cuddle and console that little one who needs comforting. So anything that helps the babies in my care feel sleepy, snuggly and happy makes me feel delighted! 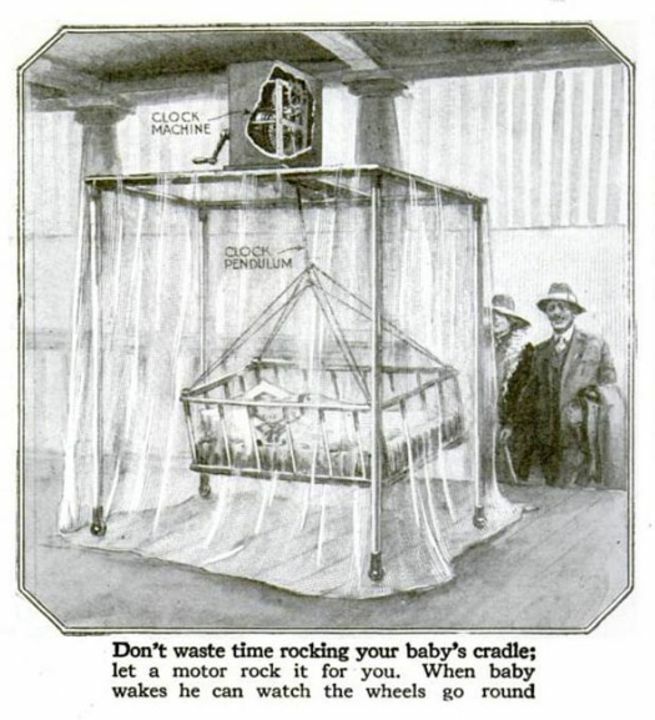 Swings have been around for ages, as a way to try to keep babies feeling as if they're being held or rocked. Older style swings were very hit-and-miss, where some babies would love 'em but others - not so much. But the MamaRoo? It works for even the fussiest newborns. It's something unique about the motion that really sets it apart. It is better at mimicking the motion babies love. And you know it works well when NICU nurses everywhere rave about it. NICU nurses love it so much, two nurses actually conducted a study to research whether it was scientifically proven to be an effective treatment for soothing infants who are going through drug withdrawal (and they're often the fussiest babies in the NICU). 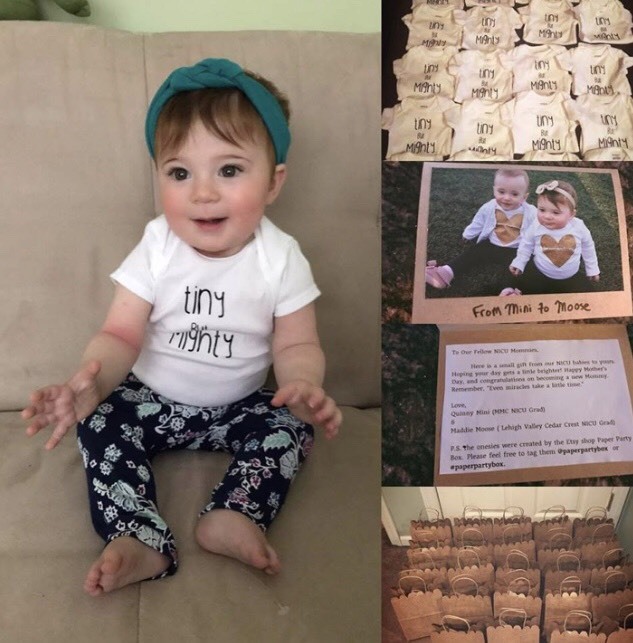 4Moms knows the impact their swings are having on the fussy babies of the NICU - they're even giving back to NICU's by donating a portion of the profits from the sale of MamaRoos to Project Sweet Peas, a NICU non-profit. I was talking with a new family not too long ago, and told them that if I was bringing home a baby today, or if I was working in a NICU where there were no MamaRoo swings, I'd be getting one right away. In fact, it's the very first thing I bought for my sister when I knew she was having a baby! You can buy them at Target, Amazon, and right from the website at 4Moms. MRI technology is an incredible tool that is under-utilized for NICU babies, often because it's difficult to get babies safely from the NICU to the MRI machines, and the babies need to hold still for so long that it's nearly impossible to get a good scan without sedation. But that may be changing. One hospital, Cincinnati Children's Hospital, and one company, Aspect Imaging, are both working towards making it possible for neonates in the NICU to have MRI scans without having to leave the unit. That would be incredible, right? Aspect Imaging’s Embrace® Neonatal MRI System is the world’s first FDA-cleared and CE-approved dedicated MRI system installed inside the NICU. It gained the FDA clearance in July, and the first Embrace system is currently installed and being routinely used in Shaare Zedek Medical Center, Jerusalem, Israel. The Embrace can provide a high-resolution MRI scan for babies weighing from 1.0 Kg to 4.5 Kg and a head circumference up to 38 cm. The Embrace has been designed specially to be placed inside the NICU to avoid the risks of transporting infants to an external MRI facility, enabling safer imaging of newborns and allowing medical staff and parents to be present during the scan. Due to its unique design, the system can also scan intubated babies without having to disconnect and reconnect any tubing. The total Prep and Scan process takes less than an hour. The Embrace is quieter than traditional whole-body scanners and features a permanent magnet that has low power consumption and requires no electrical, cryogenic or water cooling or a special safety zone or RF-shielded room. This means that for the first time a dedicated neonatal MRI – FDA-cleared and CE-Approved – can be placed inside the NICU without the risks and limitations of traditional MRI systems. Additionally, Embrace features the Neonatal Capsule – an integrated, temperature-controlled, incubator-like patient bed which minimizes movement of the baby, allowing continuous control of the baby's environmental temperature and continuous monitoring of its vital parameters. 10 Ways to make it through RSV season - If you haven't checked out Life with Jack, I highly recommend it. What a beautiful, honest blog about one beautiful young man who was born at 23 weeks, 2 days and the family who loves him dearly. It's inspiring, as well as chock full of great advice! Don't Put Yourself in Isolation is a great short article reminding parents to get out and take care of themselves while they're enduring the isolation that the RSV season can cause. What You Need To Know About RSV In Babies And Infants This article is an easy-to-read overview of RSV basics. Great for anyone new to RSV, including friends and family who might need a little education about it. I hope each and every one of you had a wonderful 2017, and here's hoping we all have a most amazing 2018! I love hearing from you, so if you have any feedback or recommendations for future newsletters, contact me! See you next month! *Product mentions are not necessarily endorsed or recommended by Every Tiny Thing, LLC. Links to external retailers may be affiliate links.